A look at the lives of a group of teenagers who ride the same bus route and how their relationships change and evolve on the last day of school. Microbe is the nickname for Daniel as he is the smallest in his class. A thinker and a bit of an artist he doesn't really fit in all that well with the other kids. Then one day a new boy starts school. 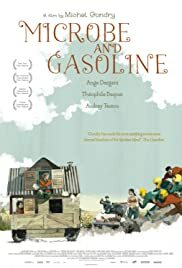 This is Theo and he has to help his father in his shop, so turns up at school smelling of petrol – and thereby gets the nickname 'Gasoline'. They know they are unappreciated in a sea of mediocrity with their fellow class mates but can not think what to do about it. However Theo is also a bit of a mechanic and they hit upon the great – if unoriginal idea – to run away; or rather drive away from home. What follows is a very entertaining and engaging road trip of a movie but with an awful lot of differences and some great performances too. This is well made and does have some laugh out loud moments but it is not a rip roarin comedy extravaganza. 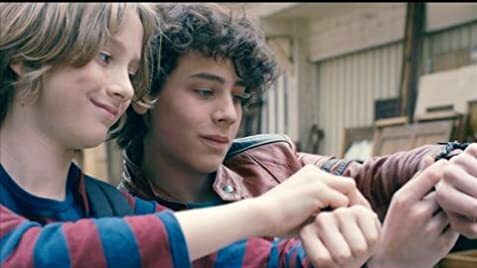 That said I really enjoyed it – director Michel Gondry manages to capture that fleeting innocence and anomie that causes kids to bond with each other – recommended to fans of European cinema and those who just like a feel good film.